On our long list of things we love about Costco, the $1.50 hot dog special (dog and soda) is up there. $1.50! Since 1985! Why Takeout editor Kevin Pang even wrote an ode to Costco’s $1.50 hot dog deal, oh, let’s see: 10 years ago! So how is the big box store able to keep this delicious treat at such a low low cost? There are a lot of theories. Business Insider today traces that hot dog all the way back to a 1984 hot dog cart in front of an early Costco warehouse store. Although Kirkland hot dogs eventually took over as the staple brand, the hot dog combo and its low, low price remained. 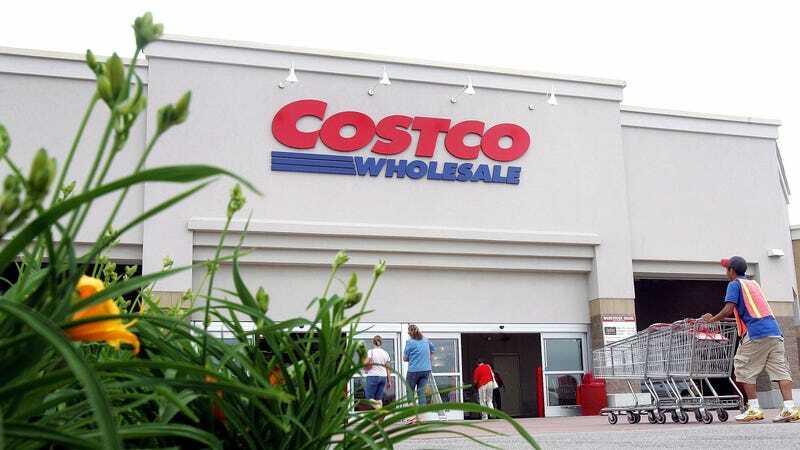 BI talked to a number of Costco employees, many who pointed to that combo as their frequent go-to, one of the best deals in the store (and popular, to the tune of 100 million sold per year). Another employee wrote on Quora: “The $1.50 hot-dog deal is called a ‘loss leader,’ which means that it is used to draw in buyers for other higher-priced items like the chicken bake, brisket sandwich, and our new item, chili… The whole thing is mainly a ‘member service,’ which is just to keep them happy.” Mission accomplished! As Kevin Pang wrote 10 years ago, “In my college days, Costco was the ultimate Saturday afternoon lunch spot. Between the hot dog and soda deal and trolling the free sample tables, I satiated myself most weekends for a mere $1.50.” Ten-years-ago Kevin got a quote from Costco’s Bob Nelson, vice president of financial planning and investor relations, who stated, “It epitomizes the value that we stand for.” Hard to argue with that, especially since you would be hard-pressed to find a similar under-two-dollar lunch value anywhere these days.